August bank holiday just got interesting. Cast your minds back to the May Bank Holiday when those glorious Tall Ships came visiting in that glorious May weather (it hasn’t let up since). Way back when in the midst of time, a few people had the gem of an idea to create an independent food and drink festival to showcase and build upon the love for the amazing local, indie businesses there is throughout Waterloo and Crosby. Well, to cut a very long story short and a lot of hard work later, that gem led to the creation of the Tall Ships Pop Up Village and guess what? It was an absolute smash. Thousands of visitors enjoying the sights, sounds, smells and tastes of the band of brothers and sisters serving up their wares, alongside family activities and retailers. The Pop Up Village was not perfect and the guys and girls learnt a huge amount; but, by and large, it was successful by any measure – it was safe, clean, well attended and had an amazing buzz along with the camaraderie between traders. They set out to shout about and raise the profile of the indies and did so but at the back of their mind, was always the original idea of a food and drink festival. So after that preamble we are delighted to hear about the new and inaugural Crosby & Waterloo Food and Drink Festival which will take place over August Bank Holiday at Burbo Bank. So, that’s Saturday 25th, Sunday 26th and Monday 27th August from 11am to 7pm – lots of time to fill your boots. 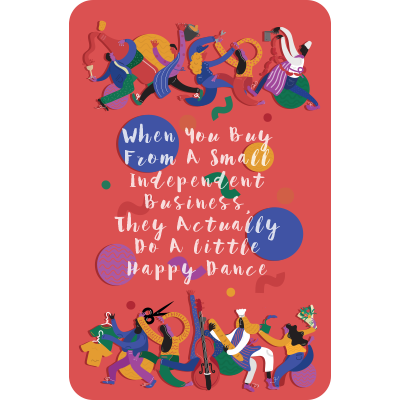 They are doubling the size of the festival with around 40 traders but maintaining the ethos of the Pop Up Village with local, indie traders peddling their wares and keeping that wonderful courtyard/village atmosphere. 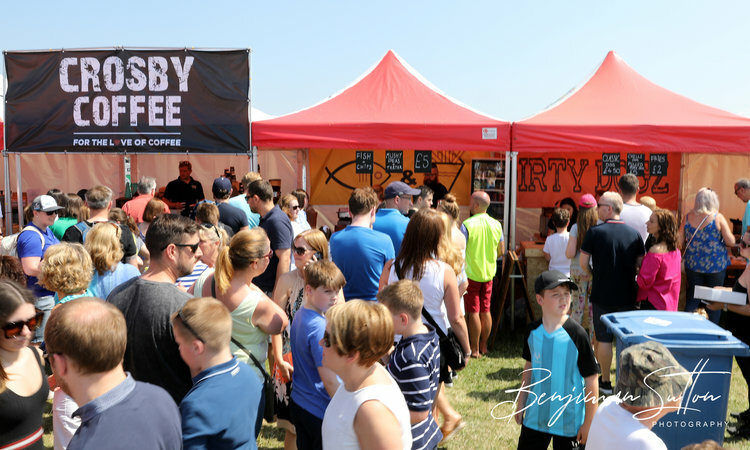 They’ll confirm traders through the Crosby & Waterloo Food and Drink Festival events page on Facebook but here’s a quick teaser of those involved… Roast, Crosby Coffee, The Workshop, Neptune Brewery, So Salsa and The Treehouse, Colour Popz Toys, Tipsy Monkey, Mojoes…..and so many more. Even we’ll be there flogging our brand new membership cards with some degree of sunburn. 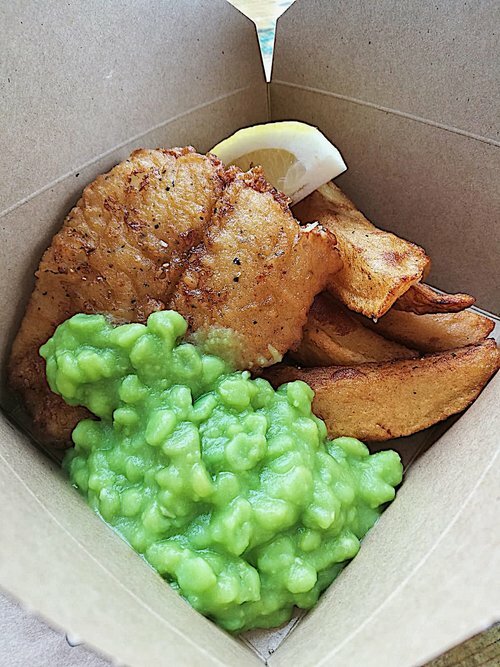 Because of the location and the links to Friends of Crosby Beach they’re very conscious of the environment; so they’re immensely proud to announce that all of our traders will be serving up their wares in recyclable and biodegradable products. Straws, glasses, street food boxes, napkins – all 100% recyclable and biodegradable. The event sponsor, ICS, are the guys behind this innovative drive and commitment to reducing plastics and landfill waste. They should be applauded as a local, independent company for their commitment to this and trying to affect change in our habits. Go check out the Crosby and Waterloo Food and Drink Festival page and the event link on Facebook. Please like, love, share – it genuinely makes all the difference in spreading the word.